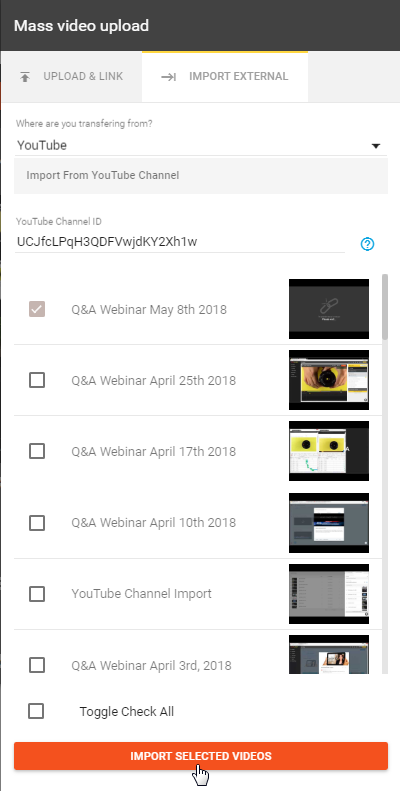 Until now, importing videos from a YT channel into vooPlayer has been difficult. We just released an additional option for MASS IMPORT feature to facilitate this process. 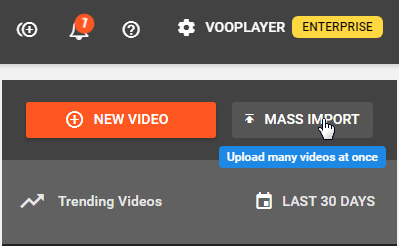 Kindly note that all Unlisted videos can not be migrated this way. 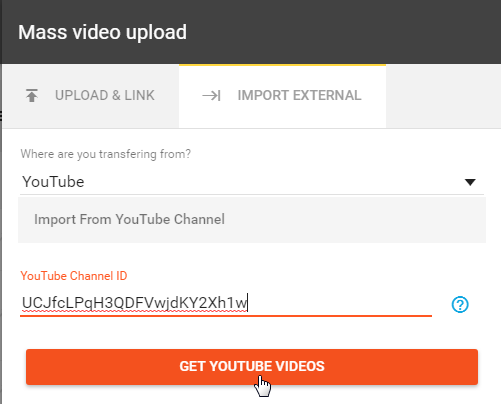 Click on "GET YOUTUBE VIDEOS"
Select desired videos (there is also Toggle Check All box) and click on the button "IMPORT SELECTED VIDEOS"